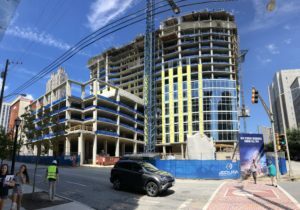 Earlier this week members of the E+M Raleigh office attended the Paul Zia Distinguished Lecture Series held annually at NC State University. 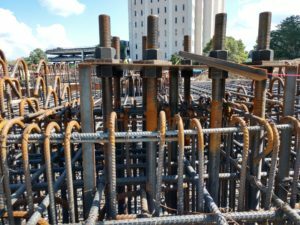 This years topic was the replacement of the Tappan Zee Bridge with the Governor Mario M. Cuomo Bridge across the Hudson River just north of New York City. 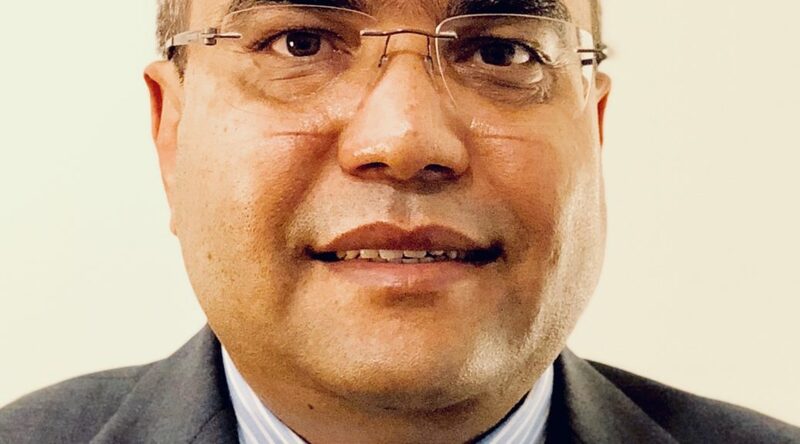 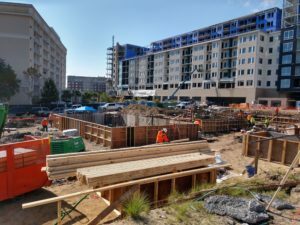 E+M is proud to be a sponsor for these lectures and is proud to help support the NC State University Civil Engineering Department, from which several of our employees are alumni. 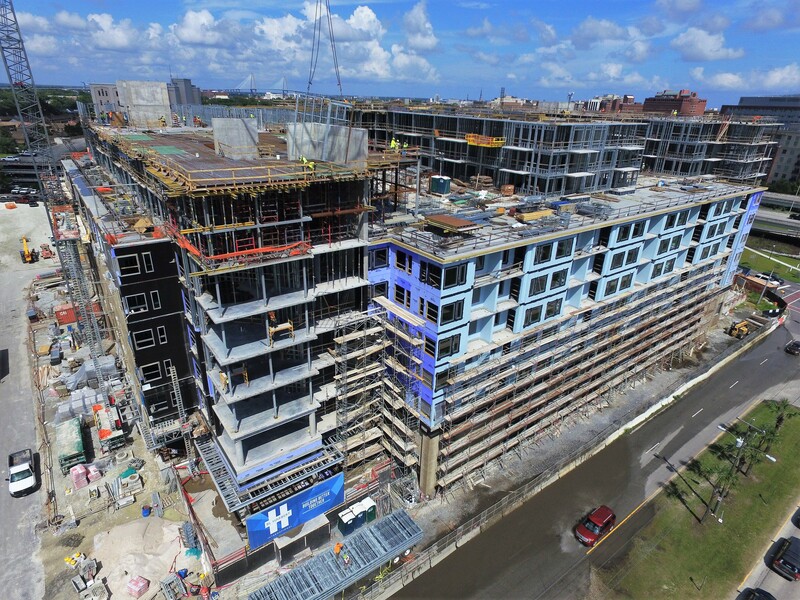 Check this Element Barclay West Drone Video from the Phase 2 construction site. 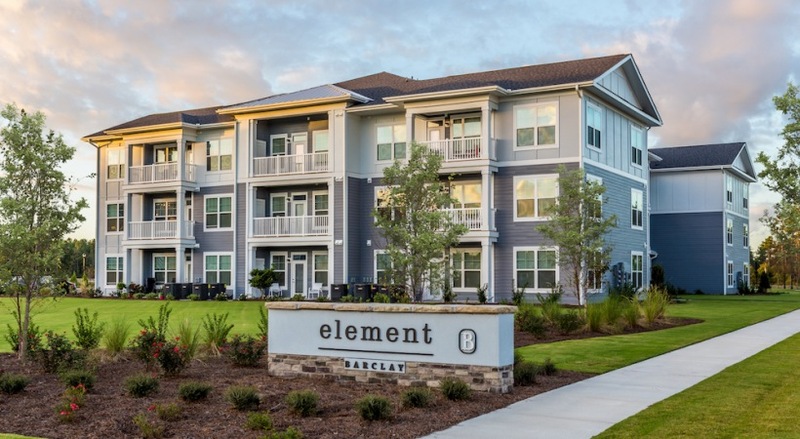 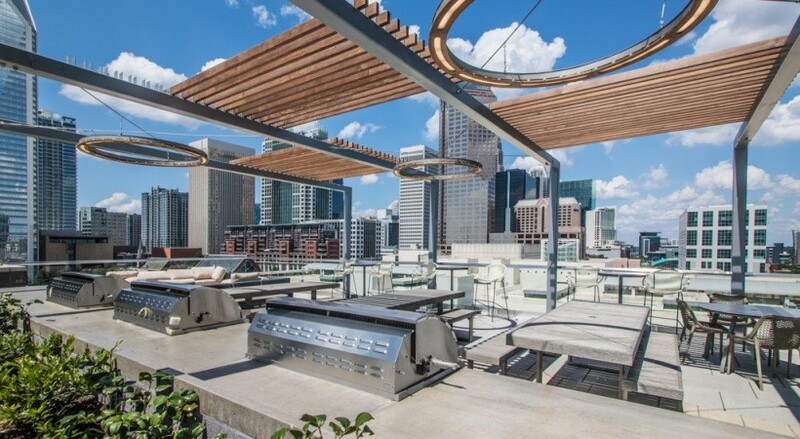 Element Barclay West is a garden style apartment project located in Wilmington, North Carolina. 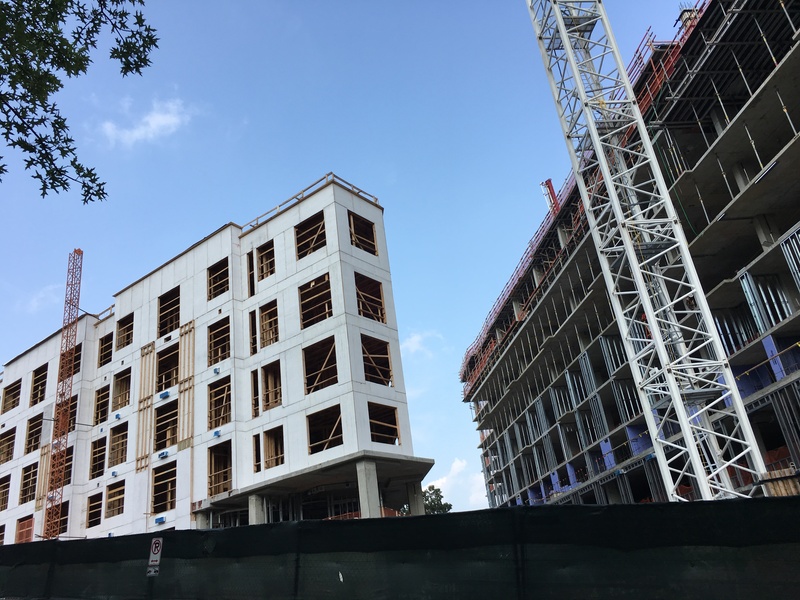 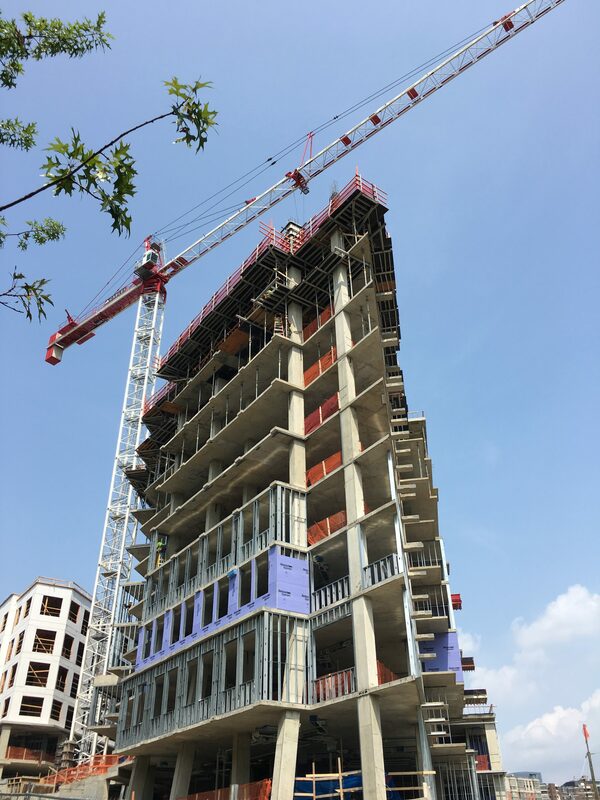 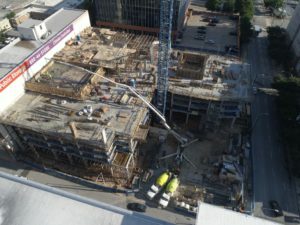 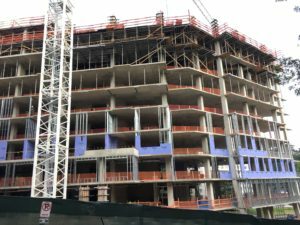 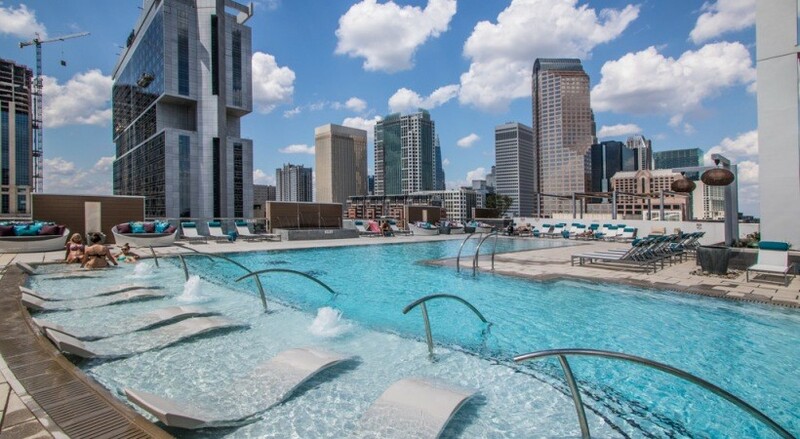 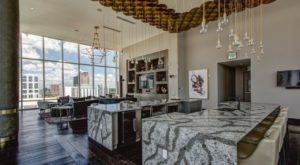 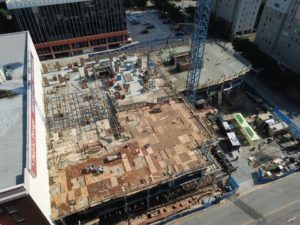 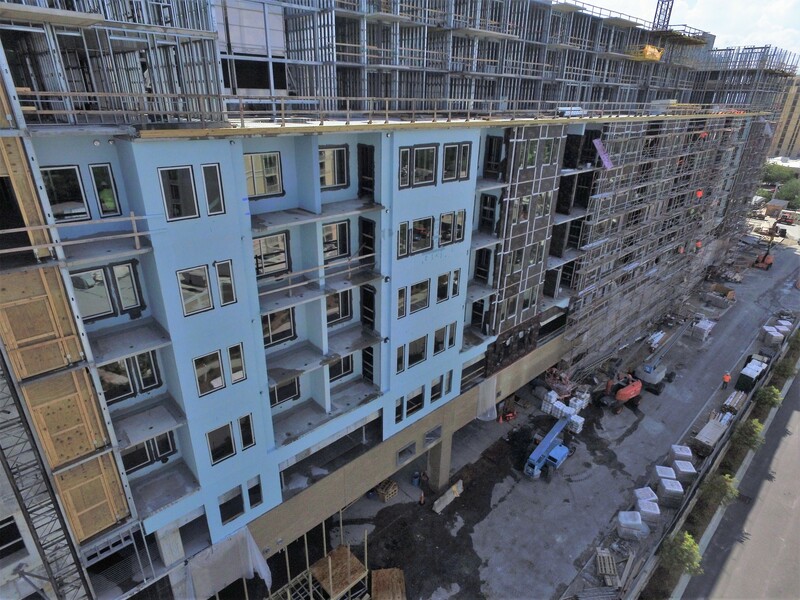 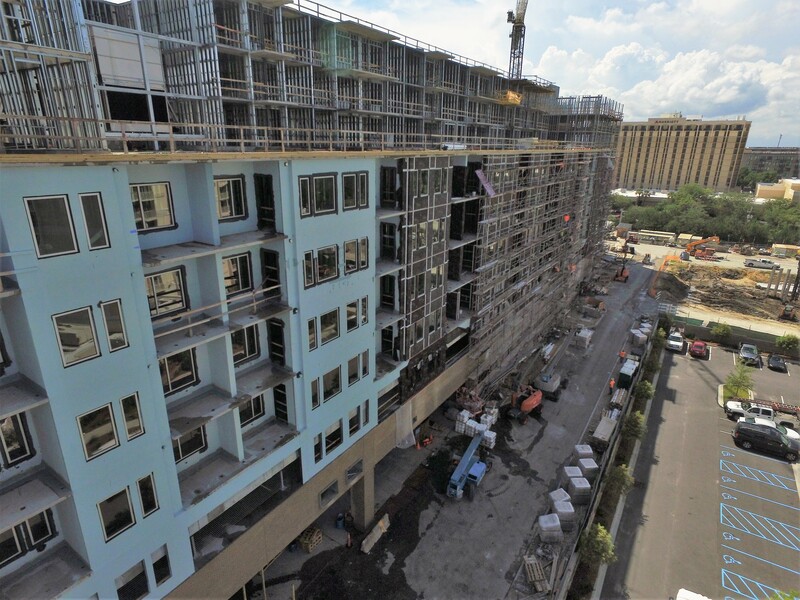 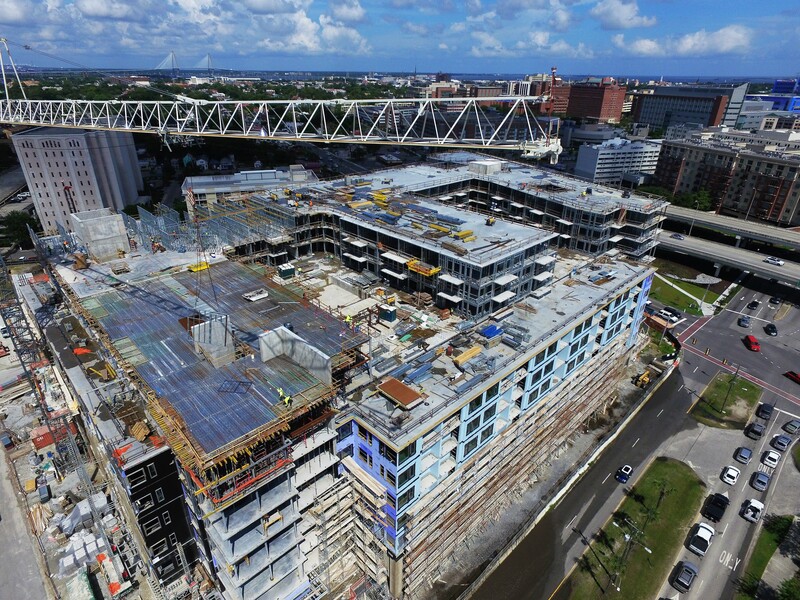 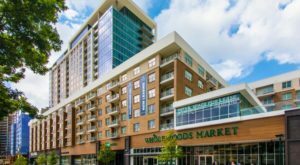 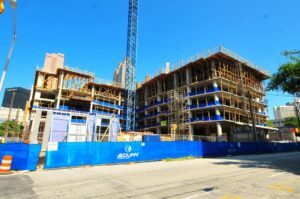 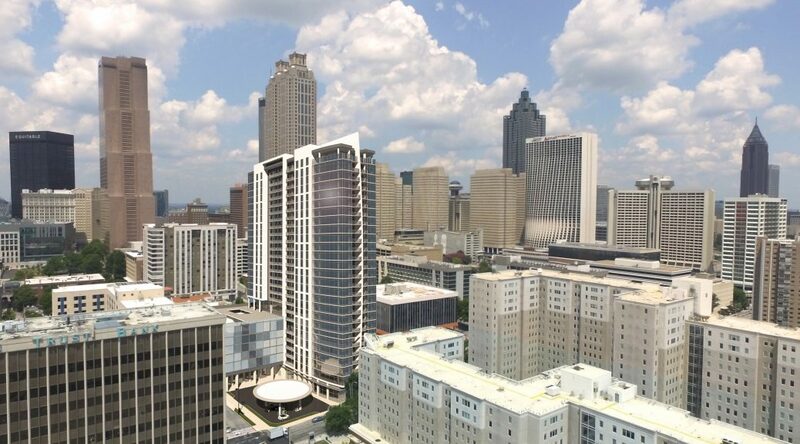 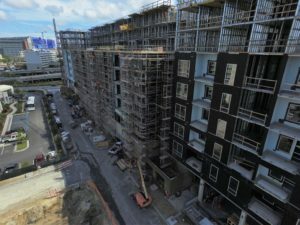 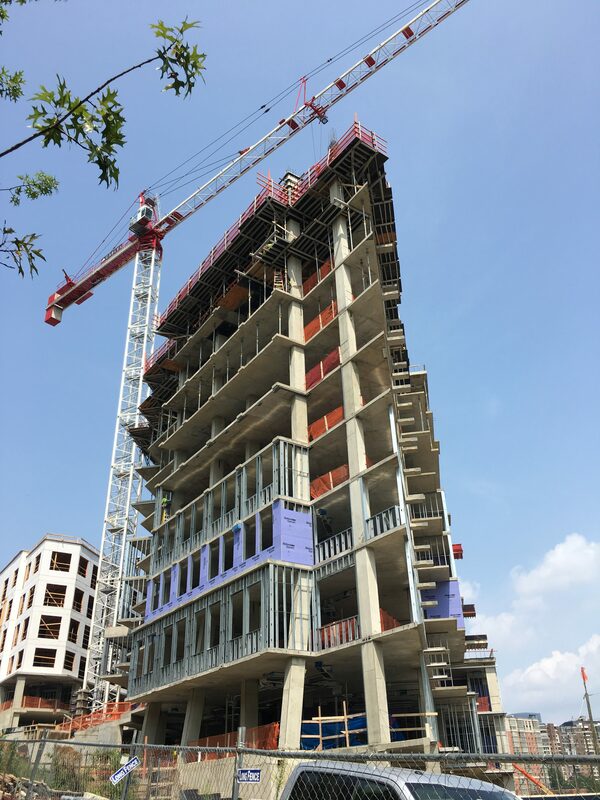 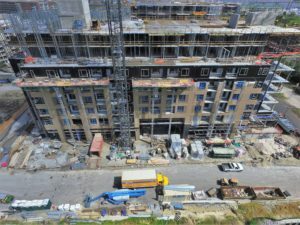 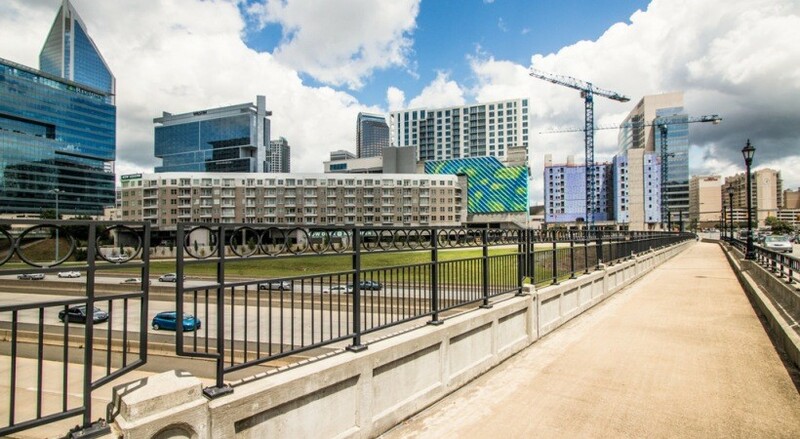 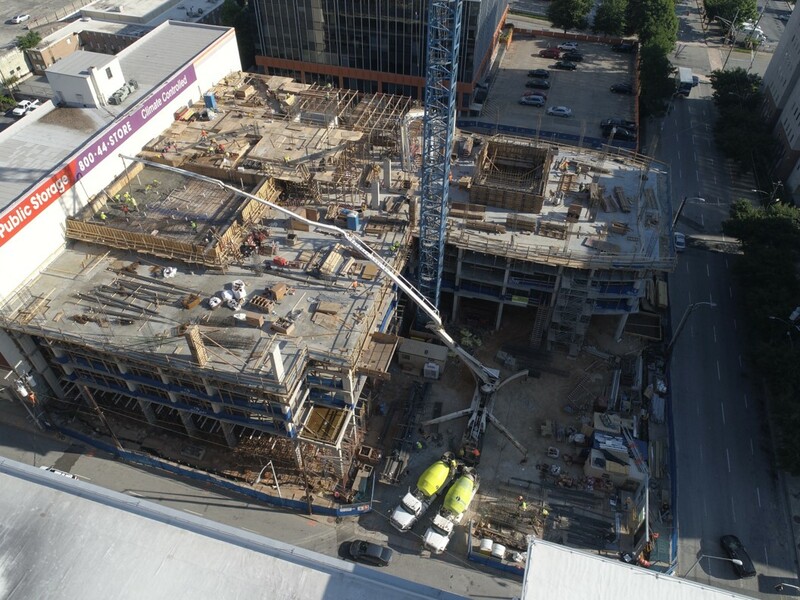 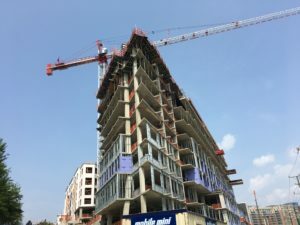 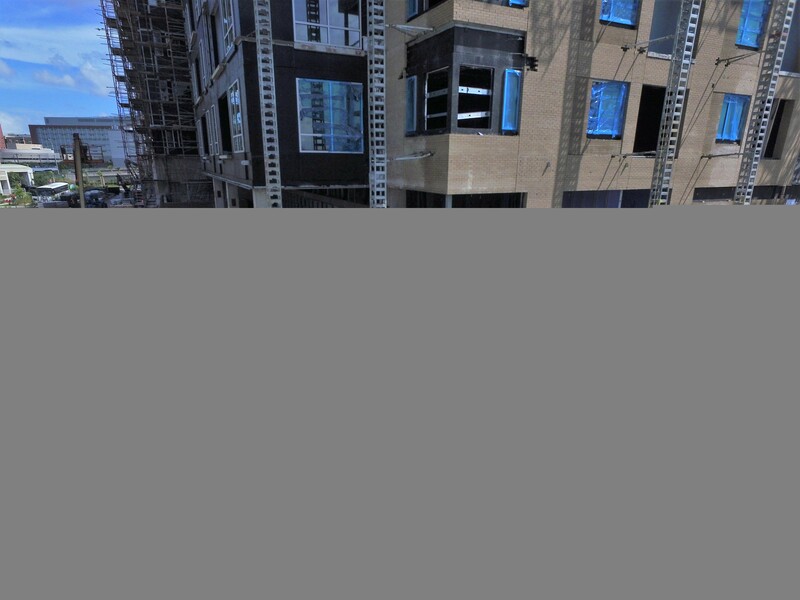 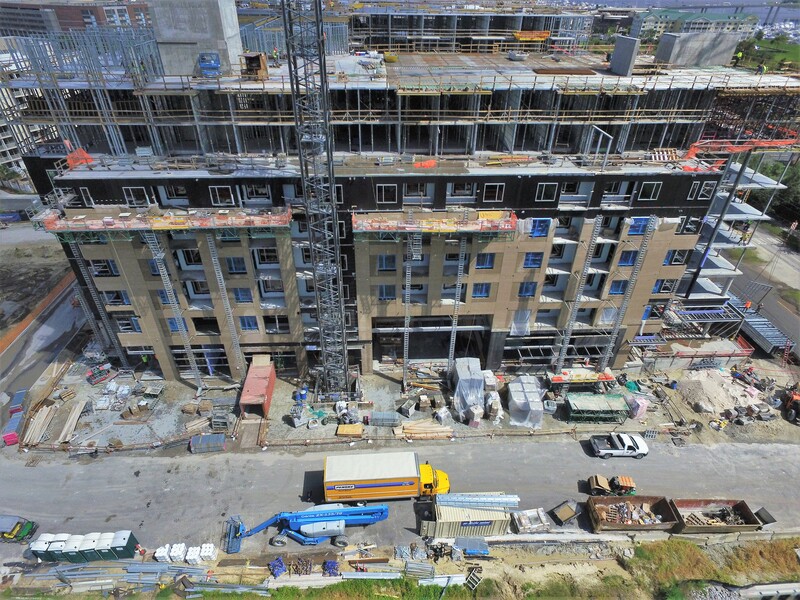 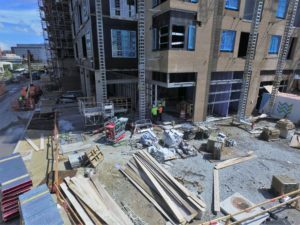 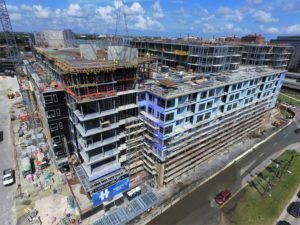 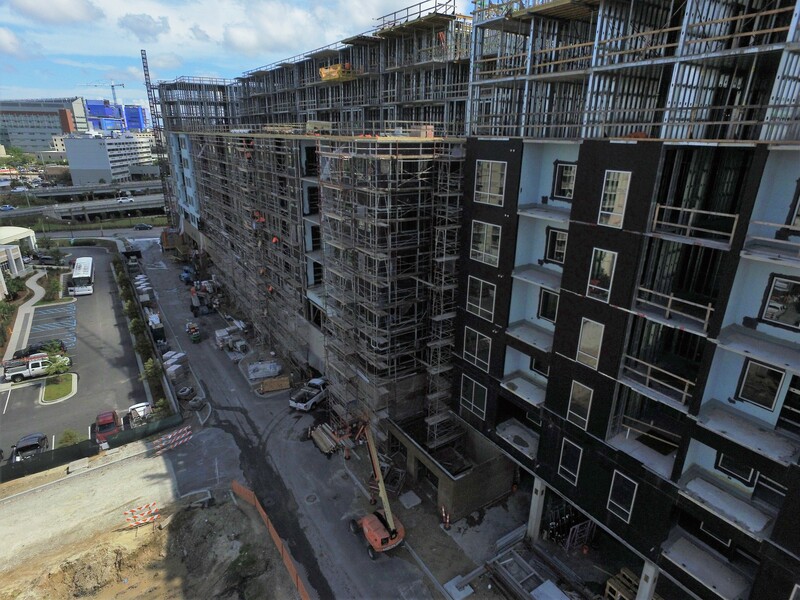 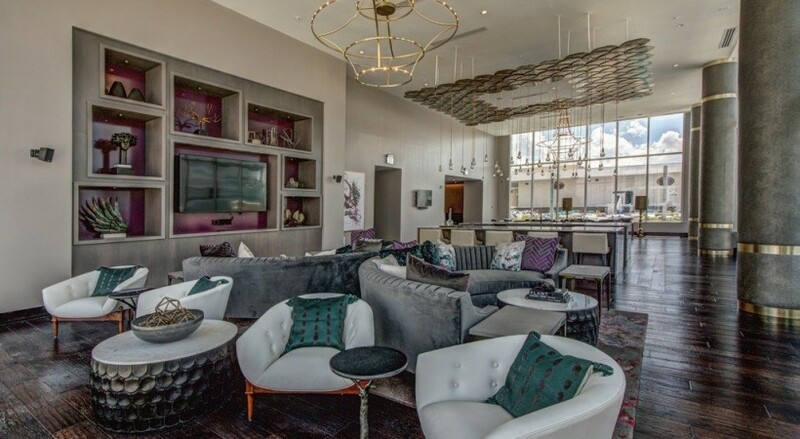 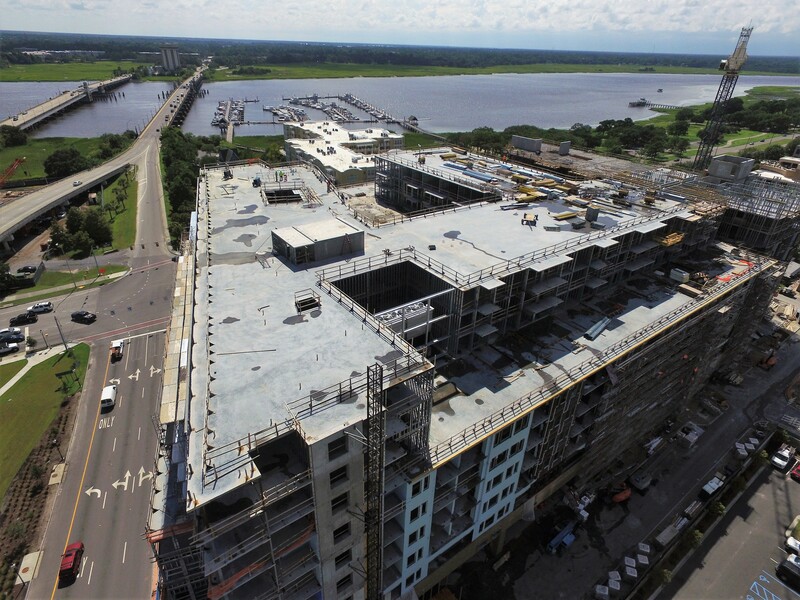 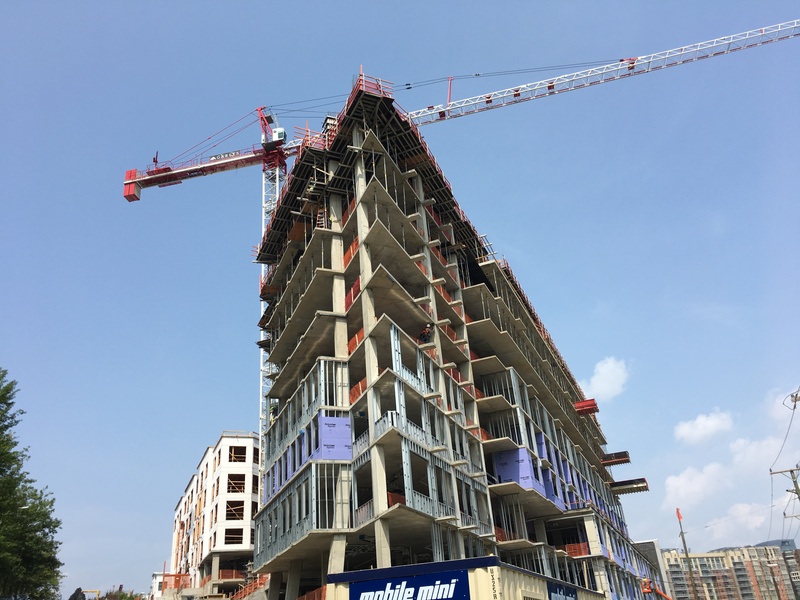 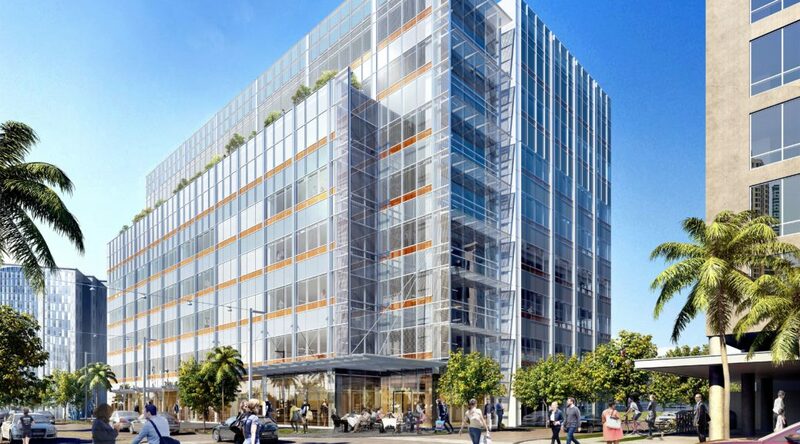 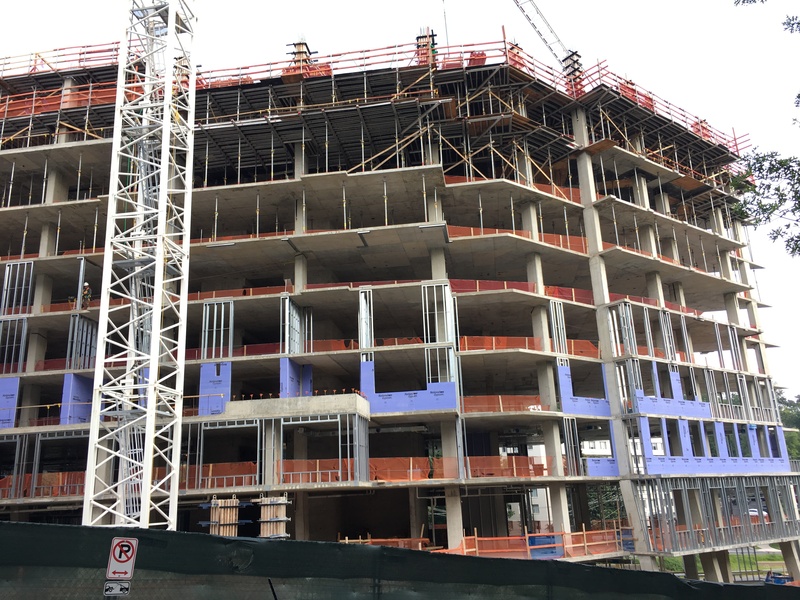 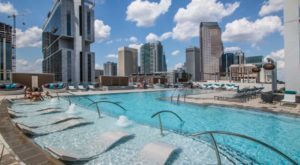 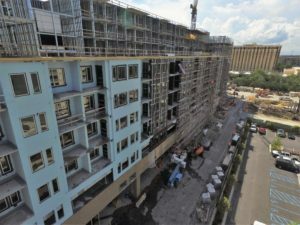 Check out this time lapse video of the 10 West Edge Construction! 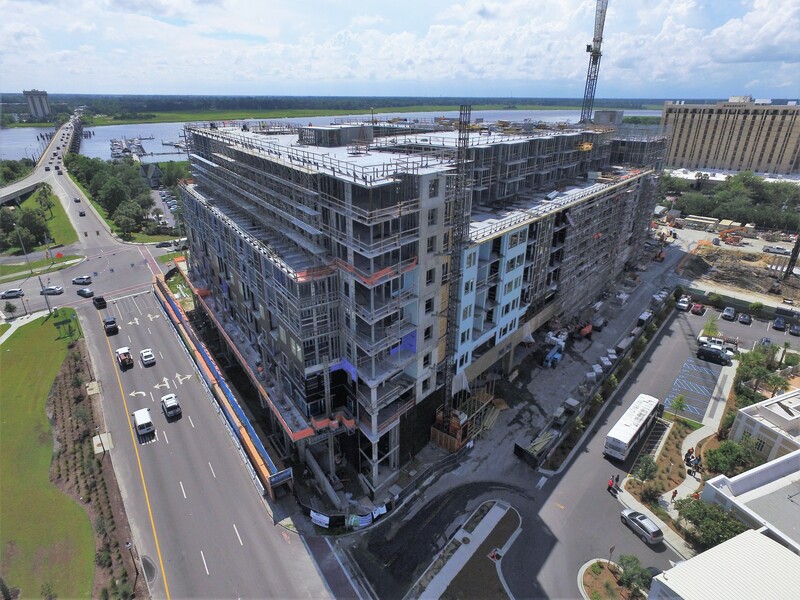 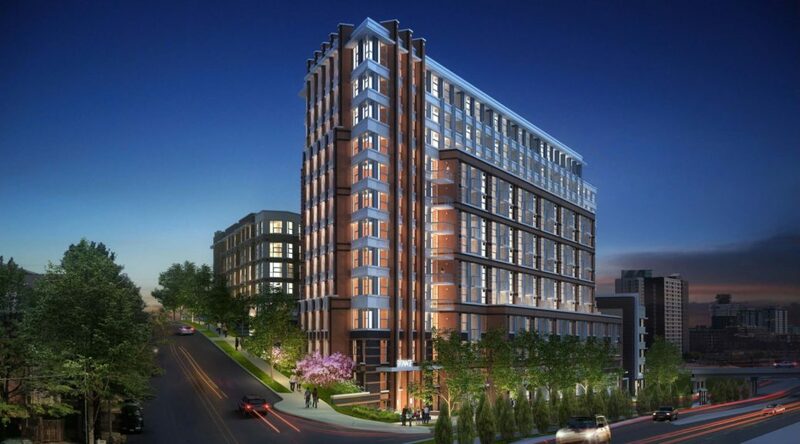 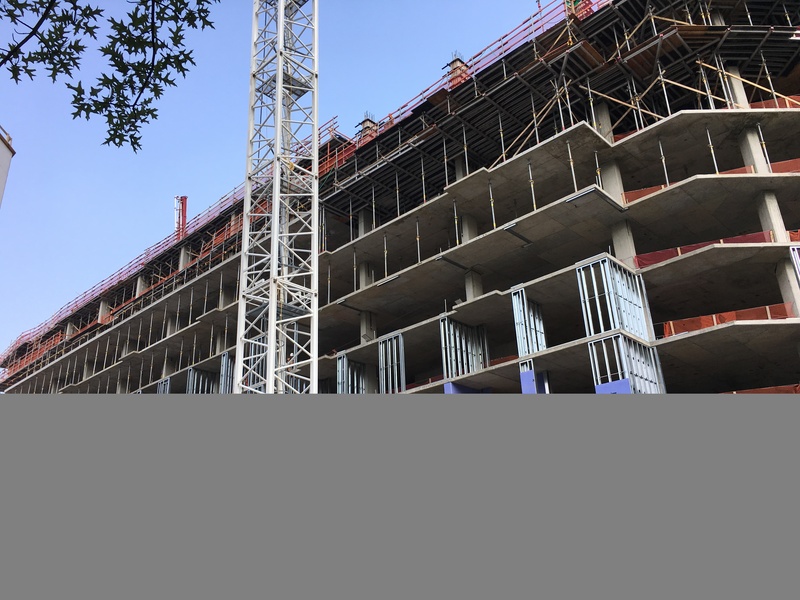 10 West Edge is 9 story mixed use project in Charleston, SC. 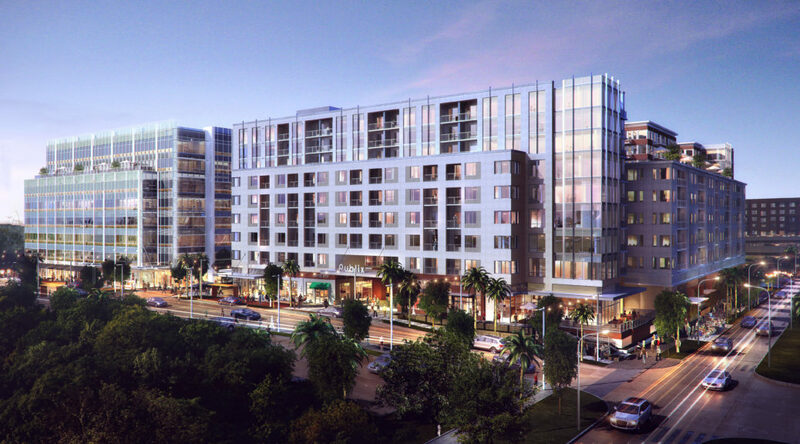 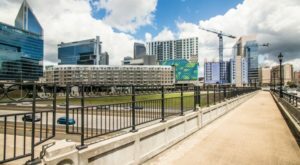 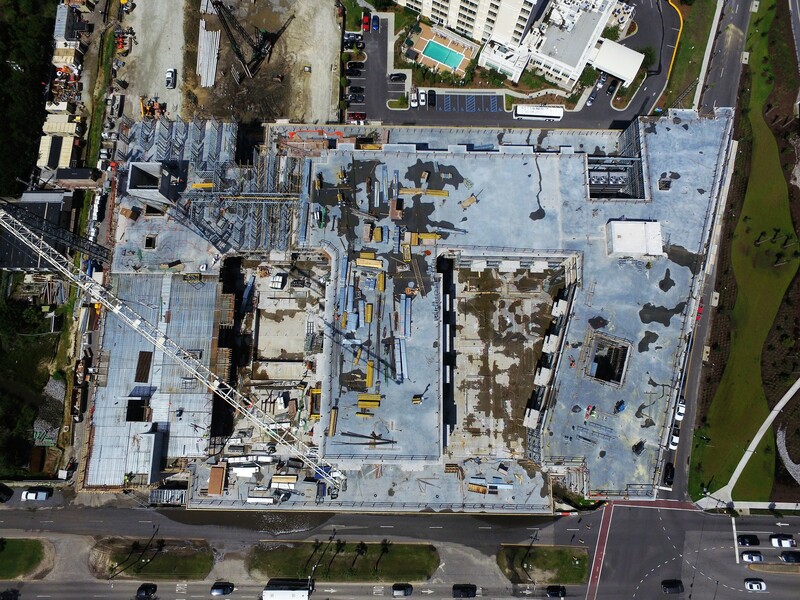 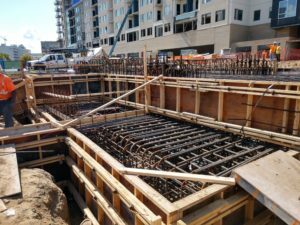 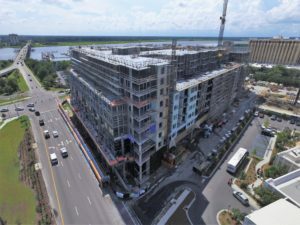 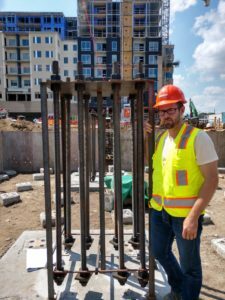 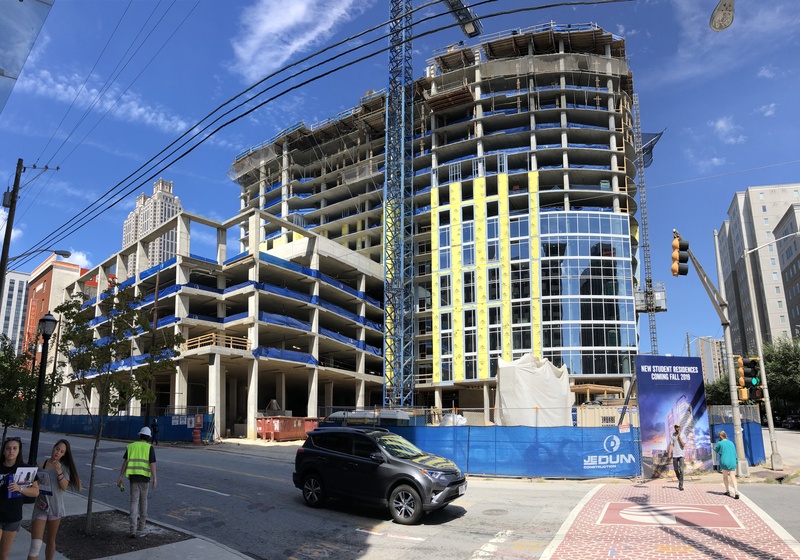 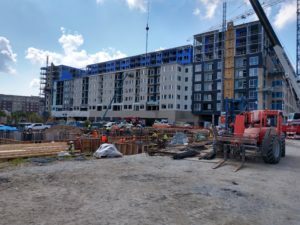 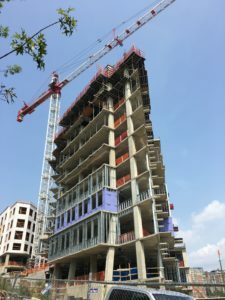 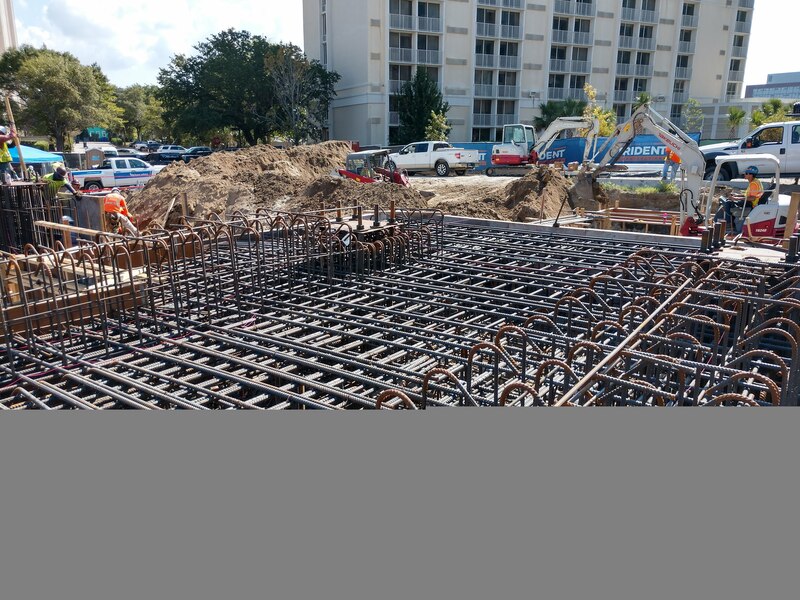 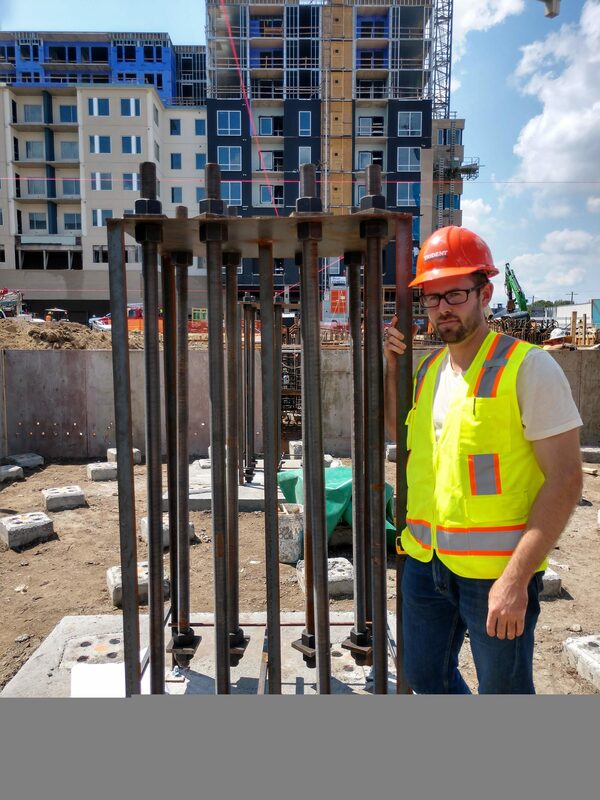 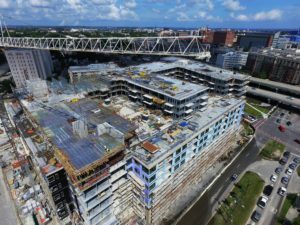 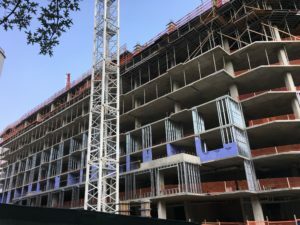 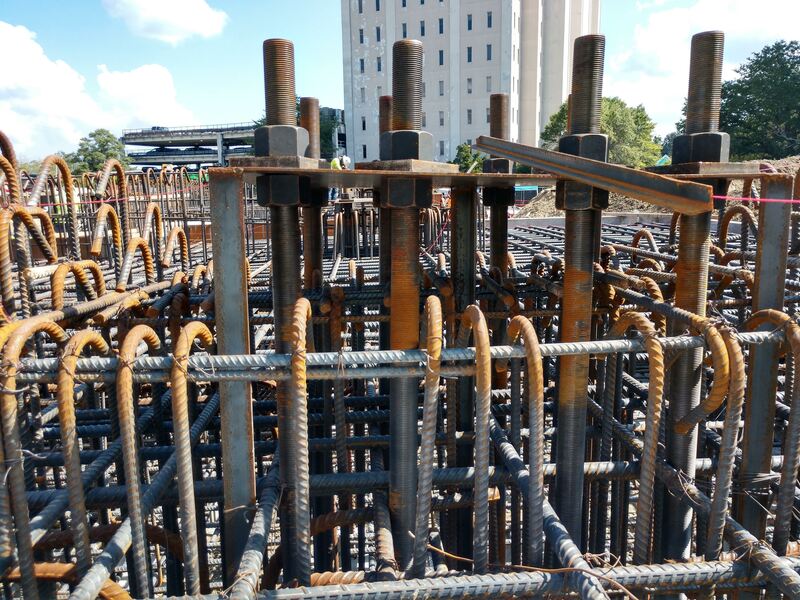 The cast in place concrete and load bearing light gauge structure will house 336 apartment units over a Publix Grocery store and an additional 10,500 sq. 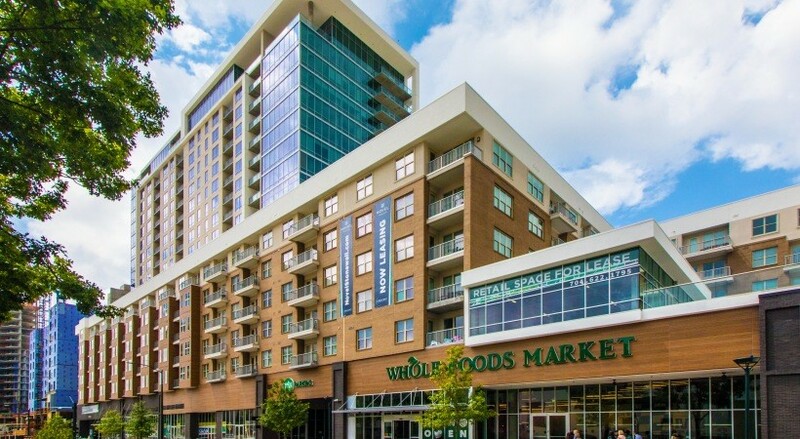 feet of retail space. 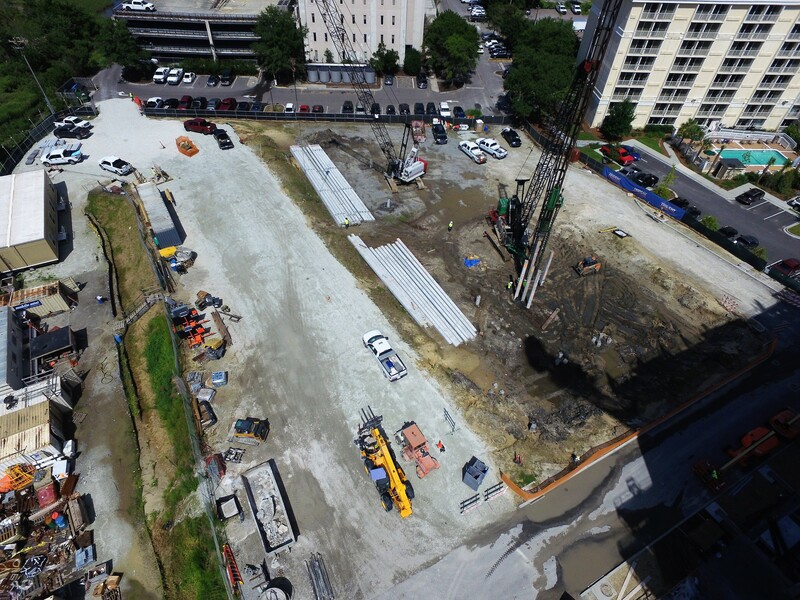 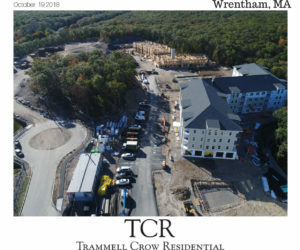 Also check out these recent drone pictures of the site! 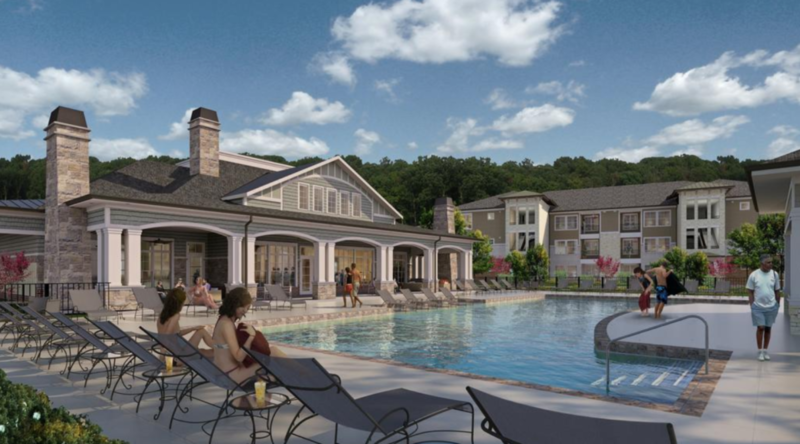 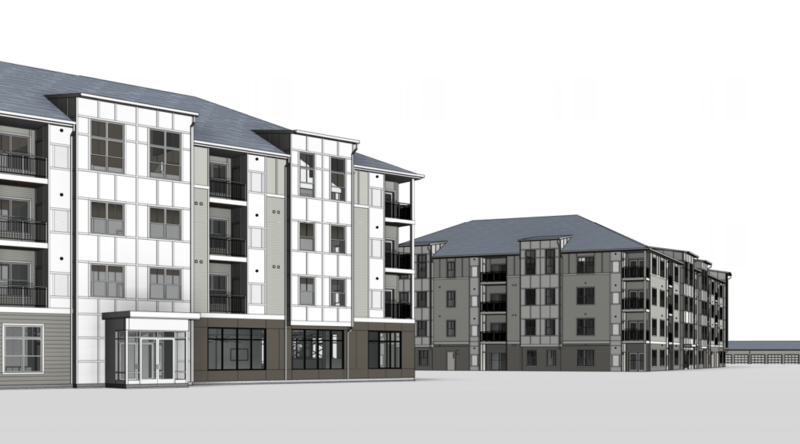 Check out the following link via the Triangle Business Journal discussing the Shiloh Apartments Groundbreaking and start of construction! 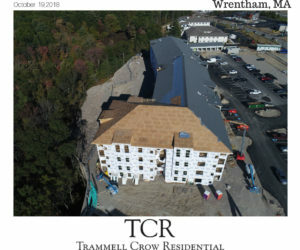 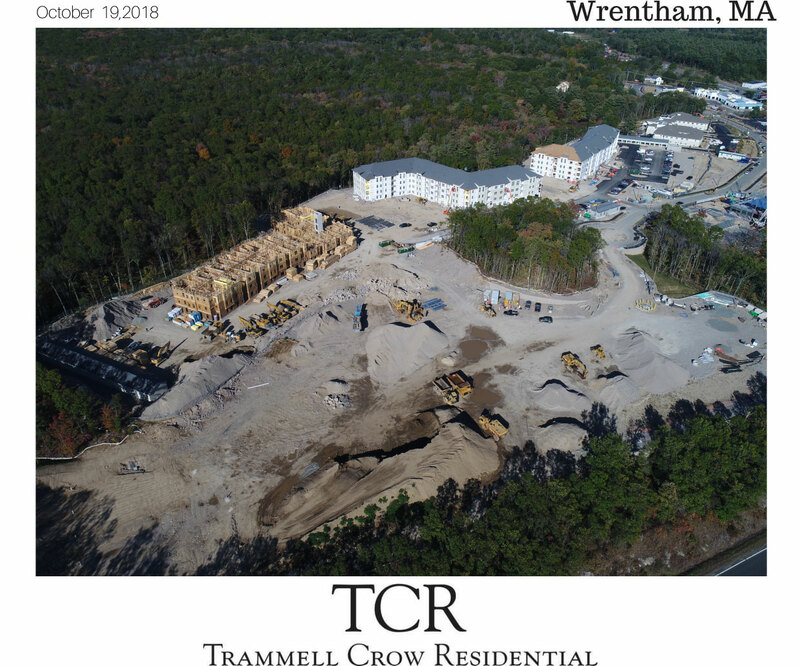 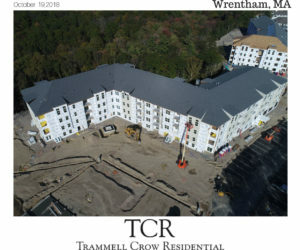 This project in Morrisville, North Carolina consists of 6 building types and a standalone clubhouse constructed as Type V timber platform framing.